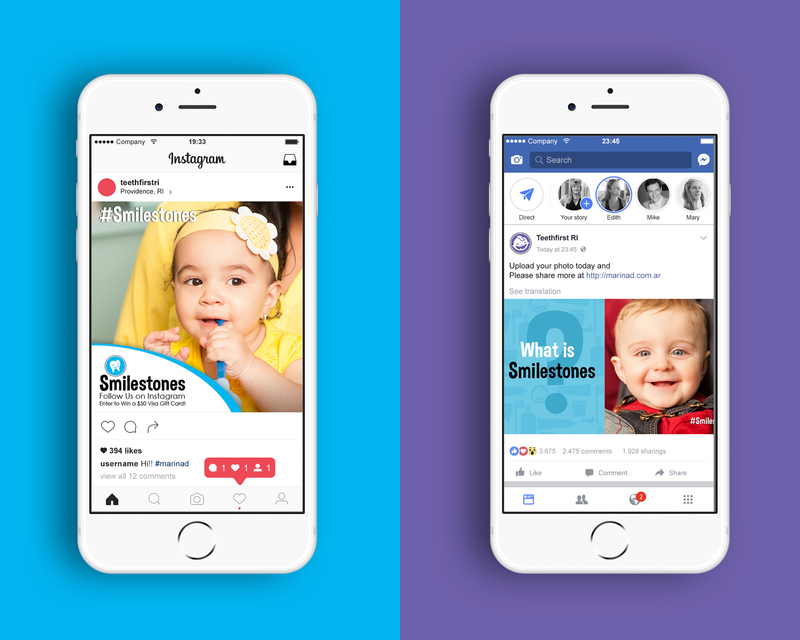 #Smilestones is a photo contest put on by TeethFirst! 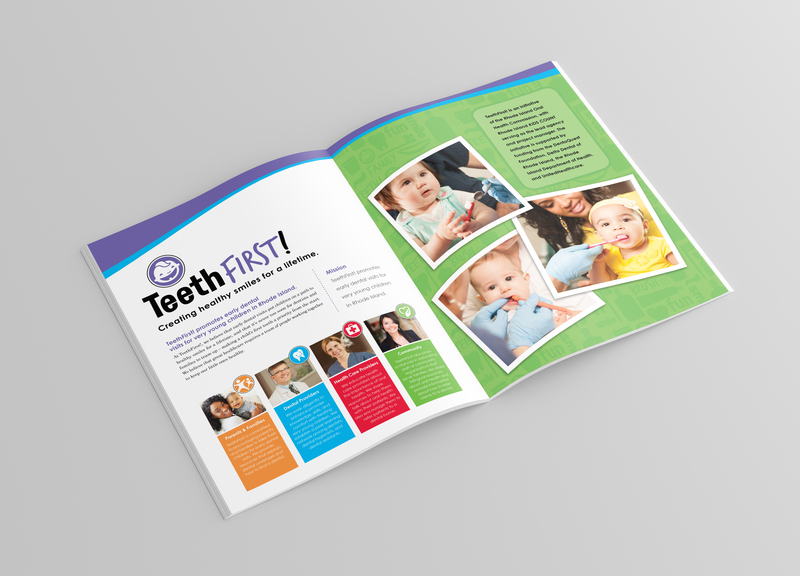 to help spread awareness of the need for early dental care. The contest was promoted through organic social media posts and paid social media ads. After the contest was completed the client needed a detailed report displaying all the metrics gathered during the campaign. I was involved with many elements of the program. 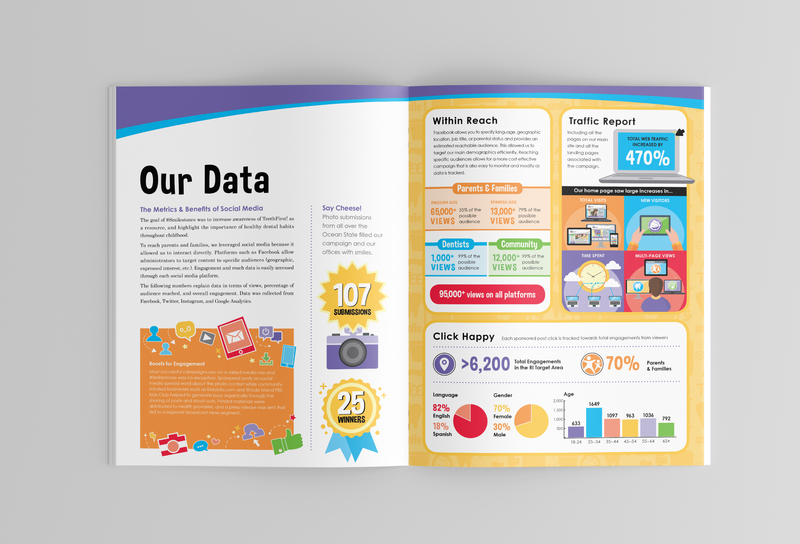 On the printed impact report I worked on the planning, wireframe, design and illustration. I also directed the copy and helped analyze the data to decide how to put our best foot forward. 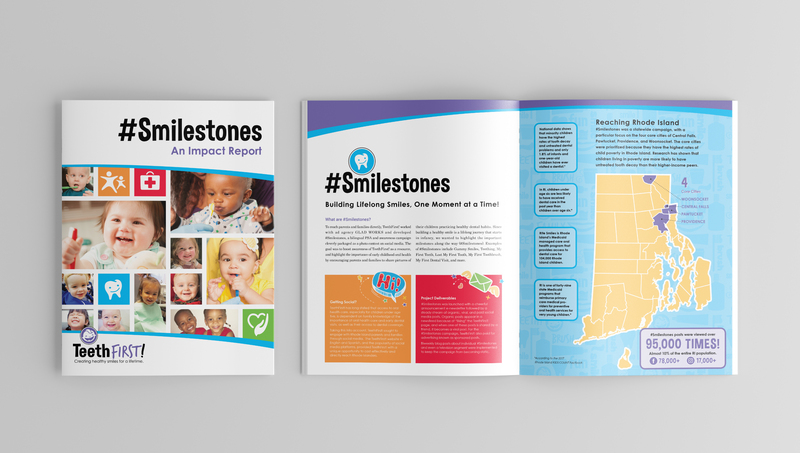 For the digital elements my contribution came in the form of providing direction and feedback along with helping to present the plan and progress to the client. 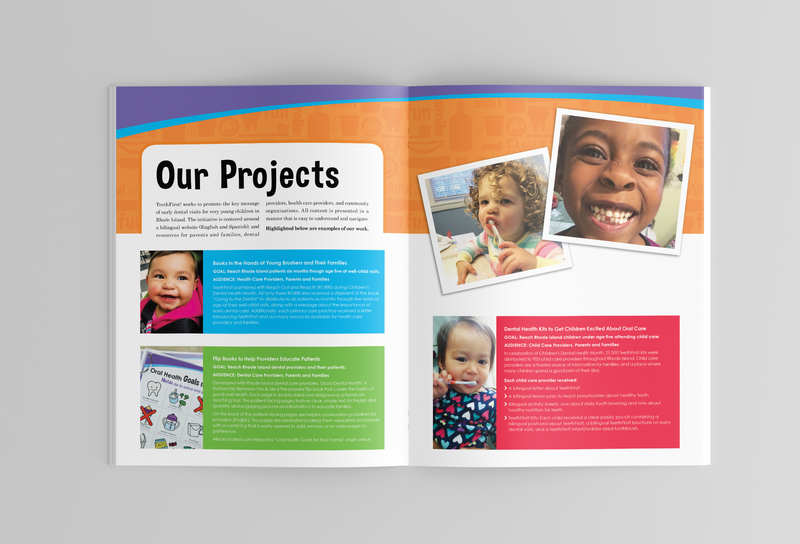 It is very exciting to work on projects with this range of deliverables and services.